la libération immédiate de Mumia Abu-Jamal! libertar Mumia Abu-Jamal agora, ya! um Mumia Abu-Jamal sofort zu befreien! And All Black Panther and MOVE Prisoners! Redouble the Fight to Free Mumia Now! Mobilize Workers' Power to Smash the Racist Death Penalty! Mumia’s Life Is On the Line: Mobilize Labor/Black Power to Free Him Now! Mobilize the Working Class to Free Mumia Abu-Jamal! 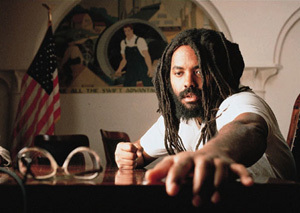 It Will Take Workers’ Power to Free Mumia Abu-Jamal! Mobilize Workers Power to Free Mumia Abu-Jamal! Mobilize Workers Power to Free Mumia Now! "Freedom Now for Mumia Abu-Jamal!" Geronimo Is Out! Now Free Mumia!